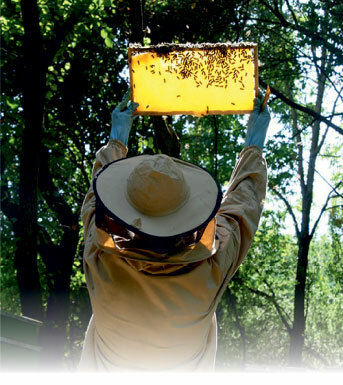 The bees collect and mature it to honey in the combs. This is the purest form of honey. The honey is then extracted, filtered and filled into jars. These processes - if gentle enough - don’t impair the quality. But consuming honeycomb we can can be sure we are eating honey as nature intended. Many cultures around the world where people essentially eat honey in this form and we can’t disagree.